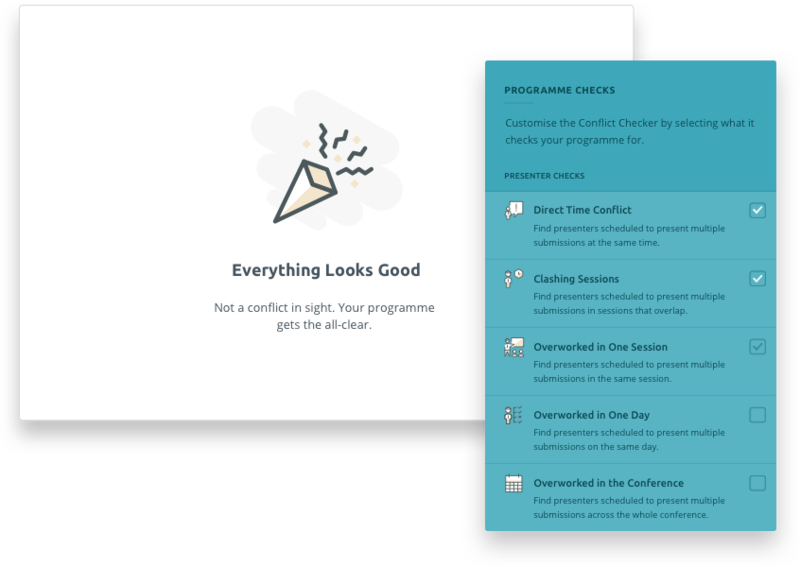 Introducing Programme, your brand new content-sharing tool. We’ve spent the past nine months immersed in conference programmes. How they’re built. How they’re shared. And how delegates experience them. 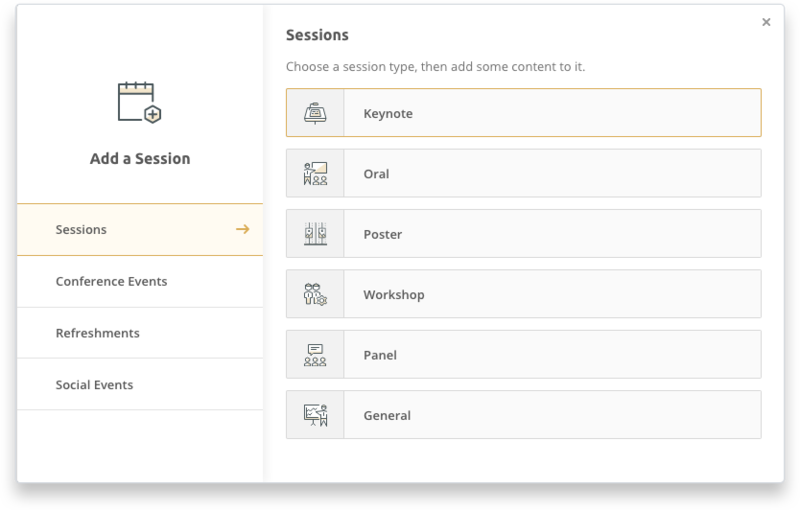 And we’re finally ready to present you with Programme, your new tool for building and sharing your conference content. 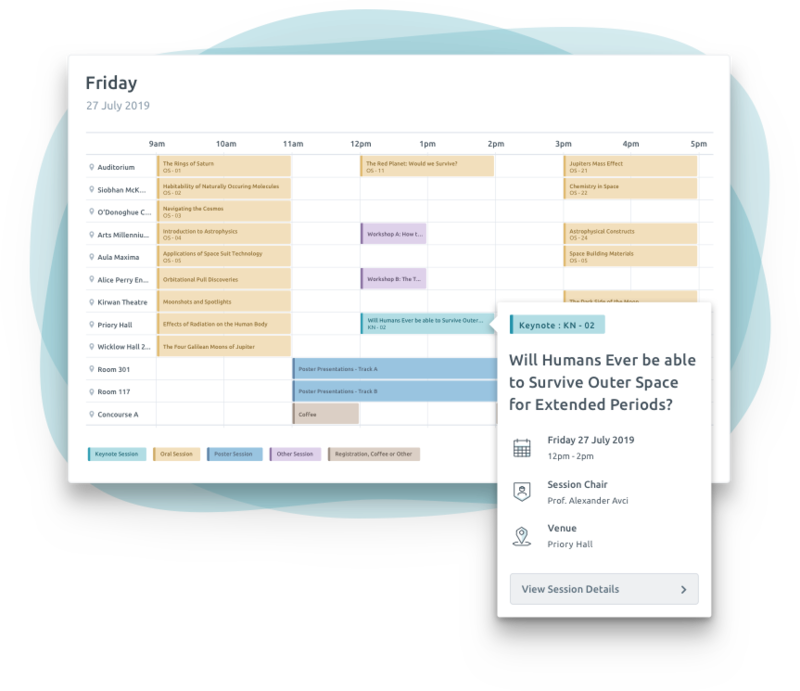 I can name a dozen scheduling tools that are fantastic at building straightforward timetables. But they all come up short when faced with the complexities of a research conference. Conferences are multi-dimensional machines with thousands of moving parts. They don’t have simple events, they have a thousand presentations and fifty venues. They have poster sessions with hundreds of presenters, they have parallel oral sessions and workshops and meetings and gala dinners. So it’s not surprising that regular scheduling tools fail to deliver. Instead, we designed Programme to faithfully display the scope and scale of your conference, however big (or small). As you build your content, you get a visual representation of your programme coming to life. Content is no longer consumed in books, it’s consumed in interactive spaces like websites and blogs and apps. And so Programme is more than an online version of your book of proceedings. It’s a new way of sharing your conference content. Whether you’re building a multi-layered programme or a compact schedule, Programme encourages delegates to explore an interactive space. To dive in and get excited by your event before they even register. We think Programme will make your life a whole lot easier. And we have big plans for the future of content at conferences. We’re not there just yet, but this is a giant leap in the right direction. Our visual builder lets you keep a handle on what's happening when from the second you start building. 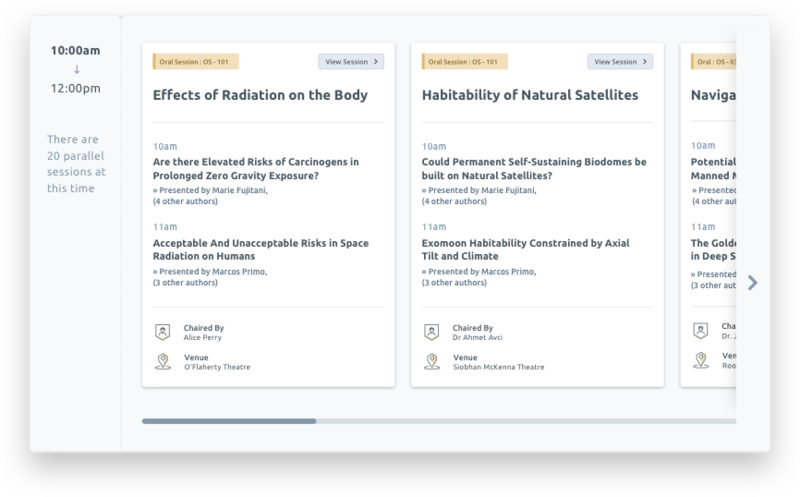 You can assign existing submissions or manually add new content to any session type. Test mode allows you to check everything's just right before anyone else can see a thing. Your conflict checker ensures presenters are never scheduled to be in two places at once. Magic. When you're ready, sharing options allow you to make your programme public, or keep it exclusive to people who are logged in. And you can now export your programme data in PDF, Excel or Word formats to share it any which way you want. If you're an Ex Ordo customer, there are no additional fees to use Programme. To get set up and explore it for yourself, email support@exordo.com. Or to find out how Ex Ordo can help you as a conference organiser, email sales@exordo.com or visit Ex Ordo.